For months you've felt the urge to fire them. How did they suddenly wind up with all the power in the relationship? That is the question we're going to explore in this post, but first let's do a little soul searching. What gets clients excited early in the process? What made you excited about the client's situation? It all comes down to possibilities. For the client, he's excited by the possibilities of getting more leads into the sales funnel, creating a stream of revenue that didn't exist before, investing the profits back into the company's capabilities, and hiring more sales people. For the agency, you're excited by the possibilities of proving your inbound capabilities, delivering the results that have a meaningful impact on the business, and moving your agency into a more stable and profitable position. You're excited about hiring a new account associate to help in delivery and creating the killer case study your sales team needs to go and close more business. 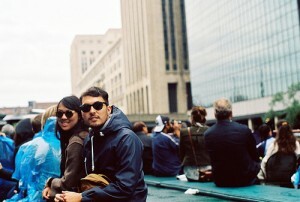 At the end of the day, both the agency and the client are dependent on each other. To realize your goals, you must place your hope in his ability to follow through and deliver on his promises. He does the same with you. You would think this need would instinctually create a student-to-teacher type of relationship. They need help; you know how to solve their problem. They should perk up and pay attention. But this position is rarely taken by clients right out of the gate. Instead they come up with a list of requests and demands. They pay the bills. They want what they want. How can they be wrong? It's very rare for leaders in organization that needs help reaching a goal to know exactly what they need to do to achieve that goal. If they knew how to get there, why aren't they there already? The overweight guy doesn't show up at the gym and hand the fitness instructor a list of workouts he wants to do. He doesn't prepare his own meal plan, and share it with the instructor. The new home buyer doesn't walk into the contractor's office with specifications and blueprints he's created in his free time. The homeowner doesn't tell the contractor what hammer to use or that they should shingle the roof before pouring the cement for the foundation. The patient doesn't walk in the surgery room, wash up, and start instructing the nurses to hand him the instruments for the procedure. So why in the agency setting do we allow clients to do the exact same thing? What are the common attributes found in your "good" clients? 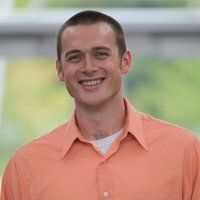 What are the common attributes found in your "bad" clients? Life is too short for crappy clients. You want to work with people who value your agency as a strategic partner. If you're going to start attracting a different class of client, you need to know what they look like. You should be able to spot them in the wild. When you have a phone call with a prospect, you should be able to qualify or disqualify on fit fairly quickly. The more expert you become at qualifying, the more profitable you'll be. Clearly identifying your ideal client means less wasted time in the sales process and a more rewarding client engagement. Remember: Just because a client is willing to pay you doesn't make them a good fit for your agency. Looking for the warning signs in the sales process. 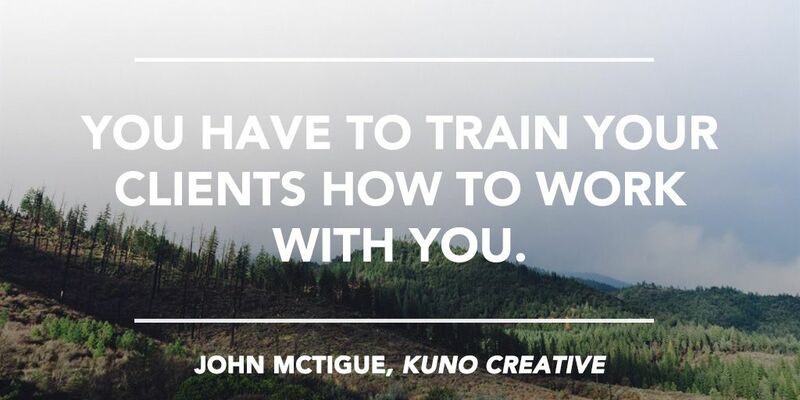 John McTigue, co-founder of Kuno Creative, shared with us how important this process has become to the agency. For John and the Kuno team, recognizing a willing spirit is a key component to their ideal client fit. They've learned that if they sign on a client that is unwilling to share their customers' information for interviews, the partnership isn't going in a healthy direction. To screen for these bad fit clients, the Kuno sales team now asks prospects if they're willing to share customer contact information should the partnership move forward. If the client objects, that's a sign the client isn't a good fit. For a customer to hit their goals, they need to follow a structured path defined by the agency. This is the Kuno Creative "way." If that path isn't followed, the end results include missed goals and unhappy clients -- something Kuno can't afford to happen. It is only when the agency is leading the relationship that the client will be successful. The Kuno team knows this, and they've embedded this truth into their agency processes. They forget that customers have other things going on in their life. They forget that their goal is to help make the customer's life easier. They forget that it isn't the customer's job to always be thinking about their products. 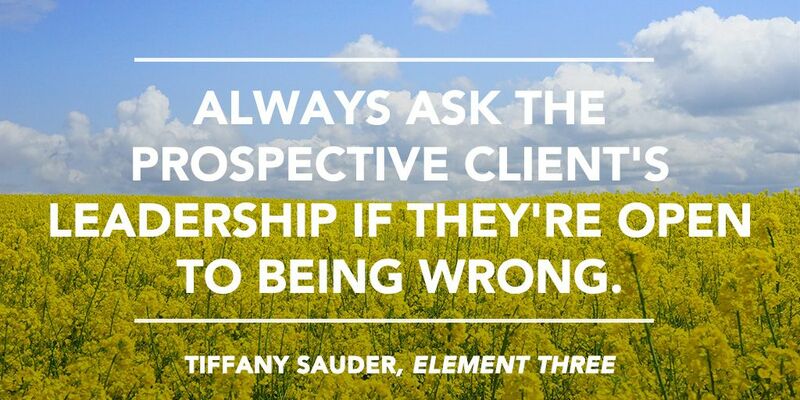 Tiffany Sauder is the President of Element Three, an Indianapolis-based marketing agency with more than 40 people on staff. She has taken this principle to heart. Questions like this turn the tables on prospective clients. It's tough questions like this that start to create that student-teacher relationship. If a client isn't willing to have their worldview challenged or their past strategies challenged, how can the agency help to effect change in the organization? 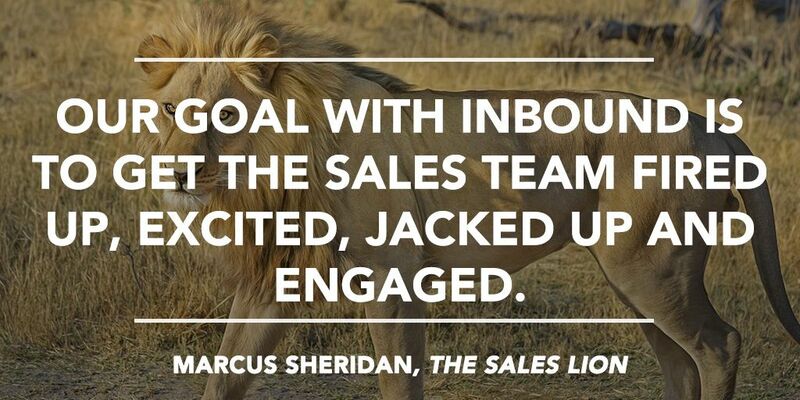 Marcus Sheridan, the founder of The Sales Lion, truly understands the importance of top-down inbound buy-in. Before he started an inbound agency and became a coach, he was a successful practitioner of inbound marketing. He has seen first-hand the impact that sustainable inbound marketing can have on an organization. Marcus is a pretty popular guy. He runs a popular blog, hosts two popular podcasts, and regularly speaks at conferences around the world. He gets a lot of requests for his time, so he is strict about the type of client he will accept. When kicking off a new client relationship, Marcus requires the executive team and the sales team to be present. He says he doesn't worry about making the meetings required for the marketing team. They're usually excited to be there. The focus of this time is to train the executive team and sales team on how to think -- to bring inbound into their DNA. To help make this transition more quickly, Marcus has honed his new client on-boarding process. Now the first type of content that gets created with a new client is a list of the frequently asked questions that sales people hear. By starting at the bottom of the funnel, the client is able to make a faster connection between inbound and profit. If a client's leadership and sales teams don't engage, neither does Sheridan and his Sales Lion team. You need to show that inbound is a priority for everyone in the organization. Giving your clients the structure they crave. Start with this simple question: How do you help your clients? Start at the beginning. If you were to sign on a brand new client tomorrow who fit your ideal prospect profile, what would his journey look like? The client is hiring you to help his team solve a problem that they can't solve on their own. And they're relying on you to provide the structured leadership they need to achieve their goals. 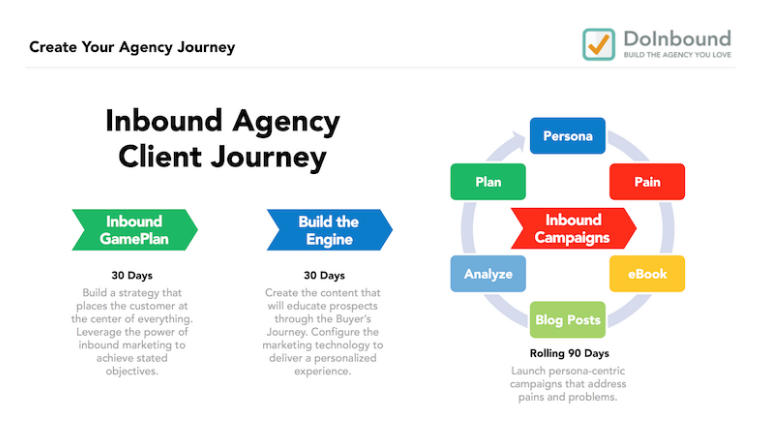 Creating a visualized client journey map can help you better understand how you're going to help your clients. This can also be used in the sales process to help clients visualize where you're going. Like Stephen Covey says, "begin with the end in mind." Show the client the system that you're going to help them build. Show how their prospects will be attracted through content, educated during the buyer's journey, and engaged in a consultative sales process driven by more helpful content. By laying out a clear framework to follow, you're setting the client's expectations from the start. You're showing that you're the expert in this space. And before the issue even comes up, you're changing their minds about the fact that they know exactly how to achieve their goals. Instead, they are buying into your plan. By becoming an opinionated agency that isn't afraid to tell prospects their plan is wrong or that they need to consider a different plan, you change the trajectory of your agency. Making changes for more profitable engagements. Making small changes is the key to making a big impact. Start by building your client journey map for your ideal client. Completing this exercise will help you better understand the key elements that you need to include for every client, and it will help you better understand what is missing from your current client engagements. You bring a solution and perspective to the table your clients need. They are hungry for someone who can help -- all they need is someone to show them the way.